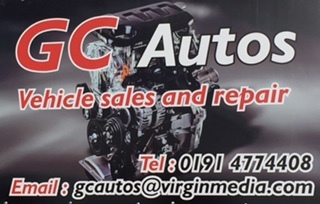 Looking for a garage in Gateshead for your car service? No need to ring around or hang on the phone – find and book it online quickly and easily with BookMyGarage. Simply enter your registration number and postcode, choose a Gateshead garage and make your booking. You won’t pay a penny until the work is complete. If you’re looking for a garage in Gateshead for your service, you can choose from 5 on BookMyGarage. We know how important it is to find a local garage you can trust and the star ratings from other car owners in Gateshead will help you to choose the best one for you. It’s often the case that we stick with what we know when it comes to car servicing. Proximity to home, familiarity with the staff and simple force of habit all play a major part when we choose a garage. But what if you could instantly compare Gateshead garages’ prices, speed and quality of service, and customer feedback - and book online at the same time? BookMyGarage does all this for you in a matter of moments, free of charge, leaving you to get on with the rest of your day. When do you need to take your car in for a service? The general recommendation is that your car has a Full Service every 12 months (or 12,000 miles) and a Major Service every couple of years (or 24,000 miles). That said, the make, model, mileage and age of your vehicle will all affect how often it needs a service. Your owner’s manual is a good place to start to make sure you’re getting your car serviced when you should. You should also think about having an Interim Service every 6 months (or 6,000 miles) if you're covering long distances beyond Gateshead on a regular basis, or you know your car has some issues. Now and again you might find it hard to turn the steering wheel or, worse, it might lock altogether. This is clearly a problem with the steering but it can have several different causes. Start by checking the power steering fluid levels - there may be a leak. Other causes might be a slipped steering pump belt, damage to the hose that connects to the power steering pump or to the rack and pinion seals. Steering problems that aren’t related to power steering might be the result of unequal tyre pressure, worn steering gear bearings, or loose steering linkage. If you can’t easily identify the cause, or can but aren’t sure how to fix it, BookMyGarage will show you garages in Gateshead which can help with this type of problem.